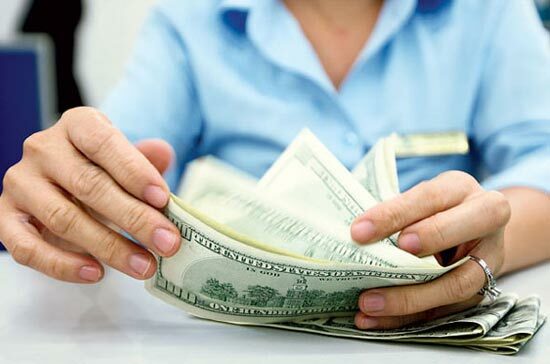 It is estimated that Vietnam has $40 billion in cash, including $10 billion in foreign currency reserves, $20 billion held by banks, and $10 billion in the hands (and safes) of individuals. Before Tet, Nguyen Van Hung, a car dealer in Hanoi, spent five billion dong to purchase dollars on the black market. One third will go to his daughter, who is studying at Oxford University in the UK, while the other two-thirds will be put into his coffer at home. “My daughter will study for five years at the university, which will cost some five billion dong. I decided to keep dollars because I worry that the dong will depreciate,” Hung remarked. It is very difficult to reckon how many parents there are like Huy, but it is clear that the number is very big. Statistics from four embassies (US, UK, Australia and Singapore) alone showed that tens of thousands of Vietnamese students are studying at schools in the four countries. The cash sent abroad for the students must be very large. There are over 40,000 Vietnamese studying in the countries listed above.